How to access to the WOL for The Bulletin of the Korean Chemical Society ? The Bulletin of the Korean Chemical Society will be co-published with Wiley-VCH from 2015 towards. The online version of the Journal will thus be available on Wiley Online Library, Wiley(-VCH)'s global online platform. 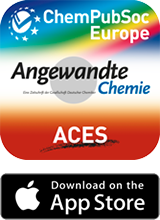 KCS members can get a free online access to the Bulletin of the Korean Chemical Society in WOL.